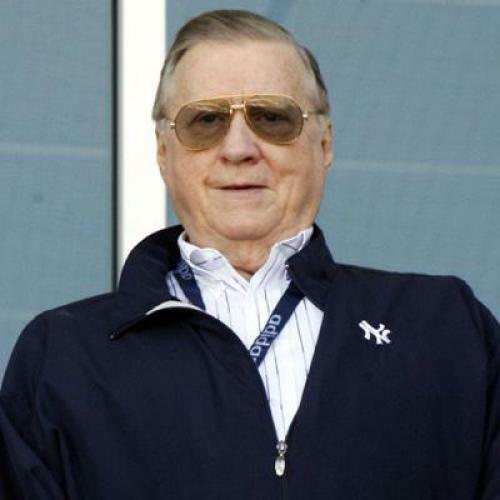 When Major League Baseball let George Steinbrenner resume active ownership of the New York Yankees after his celebrated two-and-a-half-year banishment in 1993, it was like Commissioner Gordon telling Batman that the Joker had once again escaped from prison: it was only a matter of time before Gotham would be held hostage to some new outlandish threat. True to form, Steinbrenner soon began making noises about moving the Bronx Bombers out of the Bronx home where they've been for seventy-two years. First, he angled for a new stadium on Manhattan's West Side, at the Long Island Railroad yards between 31st and 33rd. That dalliance brought predictable groans from both Manhattanites fearing congestion and fans who like the Yankees just fine where they are. But the wails didn't crescendo until last month, when The New York Observer reported that, in an act of chutzpah too self-parodic to be true, Steinbrenner was secretly negotiating to relocate to Lyndhurst, New Jersey. For the fans threatened with jilting, though, it's no laughing matter: they can give up either a beloved team or a huge chunk of their precious municipal budget. Despite the promises of owners, cities generally don't see a great boost in commerce and revenue when they acquiesce to demands for ritzier parks, as economists at a recent Federal Reserve-sponsored conference in Atlanta pointed out. The owners, on the other hand, have nothing to lose and millions to gain. For Steinbrenner, a new ballpark at New Jersey's Meadowlands sports complex—say, a quirkily designed nostalgia park modeled on Baltimore's Camden Yards—would drench his team in money from yuppie families making an evening's entertainment of the game and from companies grabbing up season tickets and luxury skyboxes. If Steinbrenner's motives are purely pecuniary—and, it must be admitted, there is a small chance of that—it won't be easy to keep him in the Bronx. The reason he says he's leaving, though, is that fans are shunning Yankee Stadium because the parking is a pain and the South Bronx neighborhood is seamy. Here, you can't help sensing a trace of disingenuousness. Parking headaches plague every major stadium, including the Meadowlands. And Steinbrenner's rap against the South Bronx is especially unfair. In recent years, crime rates in the neighborhood have fallen. The area has been reviving economically. And a recent evening's walk around the neighborhood revealed not a fearsome hotbed of crime but a patch of thriving and unthreatening street life. As the September sunlight fades, Columbia University's Kenneth T. Jackson, editor of the newly published Encyclopedia of New York, a compendium of 4,300 entries about the city and its history, leads a crowd of some fifty students around the neighborhood, following a walking tour two Columbia baseball players designed for him as a class assignment. Strolling down the Grand Concourse, which runs north from 138th Street into the 200s, the group passes the Cardinal Hayes High School, one of the academically rigorous Catholic schools that Mayor Rudy Giuliani holds up as a model for the city's public schools; the school's graduates include Martin Scorcese, Regis Philbin and, more recently, Jamal Mashburn of the Dallas Mavericks. Quiet but not unpeopled, the neighborhood seems a far cry from the urban jungle Tom Wolfe demonized in The Bonfire of the Vanities. Near the stadium, street vendors hawk back issues of Ebony and vinyl LPs of Gloria Gaynor and the Shaft soundtrack. Down on Walton Street, with its phalanx of graffitied but still handsome pre-war apartment buildings, a group of boys, 8 to 18, plays basketball, using a milk crate fastened to the bars of a window as their basket. As Professor Jackson strolls by in his blue windbreaker and Yankees cap, there is a flurry of excitement: the boys mistake him for Yankee Manager Buck Showalter. Tonight, chilly after the sun goes down, six innings of scoreless ball pass by before Toronto's Shawn Green homers to give the Blue Jays a 1-0 lead. Then, in the bottom of the seventh, the Yankees come alive. With two men on base, one run already in and the dwindling crowd on its feet, right-fielder Paul O'Neill singles in Bernie Williams for the lead. Another run in the seventh and six more in the eighth seal the game. The Yankees inch their way toward the first-ever American League wild-card berth. In the dirty but well-lit subway, the fans wait for the C-train back to Manhattan. After several minutes, word filters through the crowd that a fire on the tracks has delayed the C. Unfazed, the New Yorkers trot upstairs to catch the 4, which means only the small inconvenience of a transfer at 149th Street. A surprisingly large number of fans are riding the subway home; New York, after all, relies on public transportation more than any other city in the nation. Three different lines serve Yankee Stadium, surely a vote in favor of its continued use—even if New Jersey does build a deal-sweetening commuter rail out to the Meadowlands. IN THE END, THOUGH, it's a matter of economics, and the economic arguments for keeping the Yankees in the Bronx are not overwhelming. The city already offered to pony up $600 million to build three new parking garages and a new bridge (that's right, a new bridge), but Steinbrenner thumbed his nose at the deal on September 5. The cash-strapped mayor isn't likely to shell out even more than that—perhaps upward of $1 billion—for a modest financial gain to the souvenir shops and greasy spoons along River Avenue. And even if Giuliani can coax Steinbrenner into staying for now, the lure of a Camden Yards-style nostalgia park, with spanking-new skyboxes and gourmet sandwich stands, won't go away. Financial arguments to keep the Yankees are doomed. But a nostalgia park such as Camden Yards has its disadvantages, too. In Baltimore, fans, mostly white and wealthy enough to afford the higher ticket prices, scoot into nearby parking lots, make their way through the antiseptic passageways and settle into seats wiped by an usher (who then lingers for a tip). Chardonnay vendors walk the aisles selling splits. You'd never know you were in Baltimore. Going to Yankee Stadium, on the other hand, means paying tribute to a city. For many Manhattanites, it's the only time they ever set foot in the Bronx. Even if they don't walk out to the Grand Concourse to see the old-folks' home, the one that used to be a posh hotel where Harry Truman stayed, there's still an unavoidable interaction with the neighborhood: riding the gritty subways, walking by the asphalt handball courts, turning your head and seeing, in a swish-pan, the variety of faces that make up urban life. You may keep your hand on your wallet, but you probably won't get hurt except by an errant foul ball. Like the other sports moguls, Steinbrenner may want to turn our national nostalgia-obsession into a fast buck. But the real vote for nostalgia, for sentiment, is to let the Yankees stay put. David Greenberg, former TNR managing editor, is a Richard Hofstadter Fellow in American History at Columbia University. This article ran in the October 30, 1995, issue of the magazine.